In contrast to the 2015 election, where minor parties commanded significantly higher levels of news presence, in 2017 the two main political parties dominated campaign coverage.This two party squeeze was most evident in press coverage, with 84% of the featured politicians coming from the Conservatives and Labour. 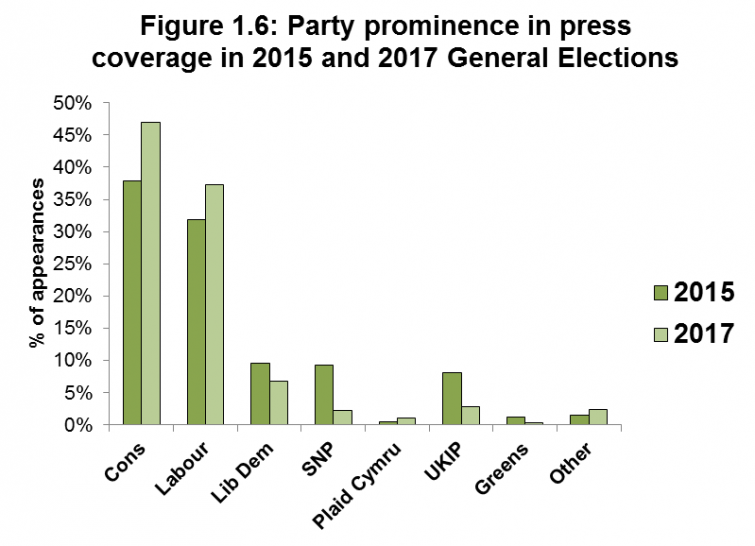 The Conservative party sources gained most coverage and quotation in both press and television news, with the Labour party receiving the most negative coverage overall. 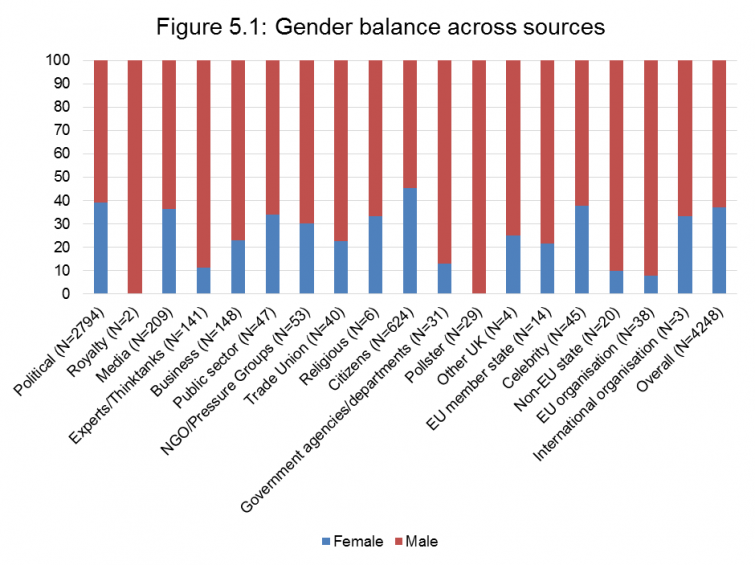 And yet again men dominated coverage, with nearly 63% of those that appeared in news being male, compared to 37% female. This is despite there being a female Prime Minister. The dominance of men was evident across all political, professional and public roles related to the election. Newspaper coverage was highly negative in the main. The most partisan newspapers gave greater editorial focus to attacking the party/parties they opposed, rather than advocating the party they supported. Policy focused coverage was more prominent in this media election than the 2015 campaign. Across all media, more coverage was given to health and health care than the economy and taxation.